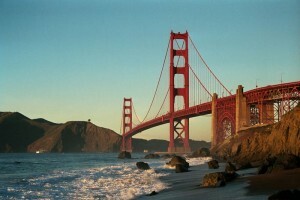 Hair Restoration Offices in San Diego and San Francisco, California are now open! Newly opened consultation clinics in San Diego, California and San Francisco, California will now afford Dr. Mohebi the extraordinary opportunity to serve an even larger portion of California with the same great quality that he is known for world-wide. Along with the already well-established hair restoration centers in Encino, Beverly Hills, and Orange County, US Hair is now able to provide its self-image enhancing services to countless residents of America’s Finest Cities. 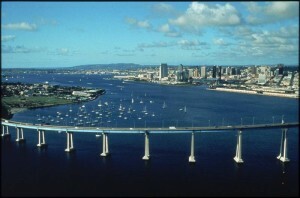 By establishing these two new offices in the both northern and the southern most part of California, both prospective and current patients of US Hair Restoration will reap the benefits. These new locations will be much more convenient for those hair loss patients in the surrounding cities of San Diego and San Francisco areas seeking treatment close to home, while also offering closer resources for the follow up appointments of our current clientele. We hope that these new office locations will make visiting Dr. Mohebi for hair restoration more convenient and afford more opportunities to hair loss sufferers throughout California. The convenience and accessibility of high quality at an affordable price is what we strive for and will always come first. Hair Transplant Surgeon Dr. Parsa Mohebi of Los Angeles, California was just approved for recommendation on well known website, the Hair Transplant Network, one of the largest online site that support hair loss patients. Dr. Mohebi has hair transplant offices in LA, Beverly Hills, Orange County with consultation offices in San Diego and San Francisco. Hair Transplant Network has truly changed the industry of hair restoration because of its viewer participation and their high demands from its members who participate on the Hair Transplant Network along with the participating physicians. All participating members of this site have such high expectations and constantly demand superior quality results, only physicians with a solid reputation and proven results are approved for recommendation through their lengthy and meticulous evaluation and assessment of the hair transplant surgeons. 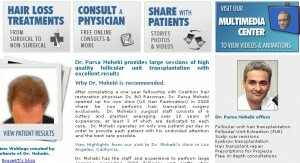 Over the last two years, the hair restoration forum and participating community on HairTransplantNetwork.com have had the chance to review Dr. Mohebi, his technique, and corresponding results from his patients to determine his recommendations. Following the lengthy and worthwhile examination process, we are now happy to say that Dr. Mohebi is among the few qualified hair transplant doctors to be recommended by the renowned Hair Transplant Network. We are hoping that US Hair Restoration and its medical director Dr. Parsa Mohebi can continue educating hair loss patients about hair loss treatment and hair restoration surgeries that are available to them. It made it easier for a larger group of hair loss patients to be able to see Dr. Mohebi’s outstanding hair transplant results. Please feel free to check out some of our patient results and physician comments on this site at anytime and do not hesitate to ask questions on the forum if you have any. I’m an adult female in my early thirties. I’m trying to find a way to enhance my appearance but I don’t want to go under the knife, like breast enhancement or even lip enhancement. I’m not really a young girl anymore and feel like I need to look as good as ever to attract a good-looking man. I happened upon Latisse on the Internet and I’d like to know how to order it. Thanks for the email. It’s always good to get inquiries from the general public. You can only obtain Latisse from a physician, and that’s with a prescription. Make sure not to buy Latisse anywhere except at a credible pharmacy or from a doctor’s office. It’s possible there may be phony Latisse-like products you may find on the street or on the Web. Stay away from these imitations; they may have dire side effects. Side effects from taking Latisse are things like your eyelids becoming darker, likely temporary, and a likelihood that iris color may become much more brown, which is more likely to be a permanent condition. On the flip side, Latisse will make your eyes look prettier. No doubt about that. People, women especially, want a soft, doe-eyed a look. With the chemicals found in Latisse, it will give your lashes a thicker look and make them longer. 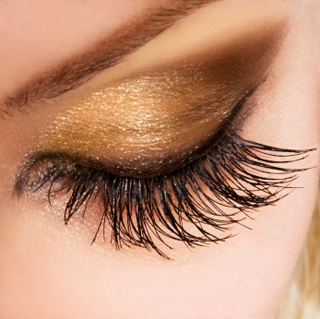 Latisse will actually increase the length of your eyelashes, for a certain period of time. Then they will return to their original look. If you really desire your eyelashes to be longer, Latisse is for you. There are also doctors who perform eyelash transplants. I know people diagnosed with Alopecia Totalis sometimes get an eyelash transplant. Then there are those who don’t have a lot of eyelashes and want more, to enhance their physical appearance. 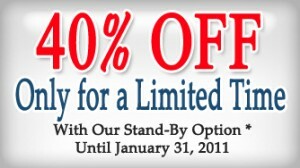 We do offer Latisse in all our Southern California hair restoration offices. I’m grateful you took time out to see me on Saturday. The letter that gave a summary of what we talked about was very thorough and I just wanted to say thanks for that. 1) When it comes to giving a name to my hair loss pattern, is Alopecia the correct way to describe it? 2) Would a Cortizone shot be an option for me? 3) Is laser therapy OK? 4) If I happen to use minoxidil, I’m wondering if it has to be 2% or would a higher percentage result in more hair growth and faster hair growth? 5) I was told to receive a complete medical evaluation, do you know of a doctor I can go to? I want someone I can trust. Thanks again for taking the time to see me and also to accommodate my questions. I’ve provided answers to your questions in chronological order. 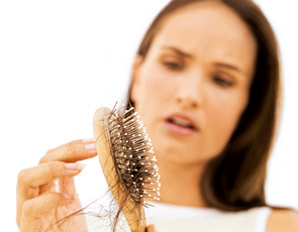 Alopecia, literally, would be defined as hair loss. 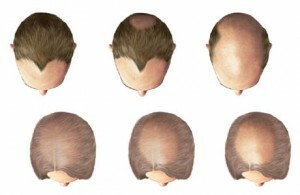 There are many different types of alopecia or hair loss, such as male patterned alopecia or female patterned alopecia or alopecia cicatricial. I believe the pattern on your head is a male pattern since hair was lost in the frontal area as you kept hair on the donor area intact. This is the reason you may be a potential candidate for a hair transplant since your medical evaluation stated that you’re not medically treatable for hair loss. 2) Would a Cortizon shot be an option for me? Absolutely not. But steroid shots are sometimes used for Alopecia Areata (AA), which is an autoimmune disorder. 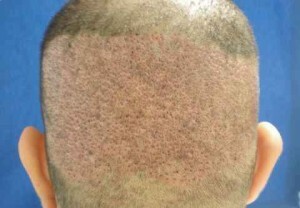 Alopecia Areata is a hair loss condition with patchy hair loss spots. Your condition is not Alopecia Areata. 3) Would you consider laser therapy? I do not recommend laser therapy for hair loss in the form of laser comb or laser machines because of the lack of solid medical evidence that support their effectiveness at this time. 4) If I were to use Monoxidil, does it have to be 2% or a higher percentage would yield more and faster hair growth? You can start with 2% and then you need to be re-evaluated in six to 12 months and a treatment plan might need to be adjusted at that time. 5) you recommended a complete medical evaluation, could you please recommend someone that you trust? Any good internist or endocrinologist could follow through with the lab works that you need. Our letter includes the list of medical conditions that should be considered and lab works to rule out those women like you who have hair loss. You can share my letter with any good internist or endocrinologist and he or she should be able to follow through with your lab result and treat any treatable conditions that could possibly be found.